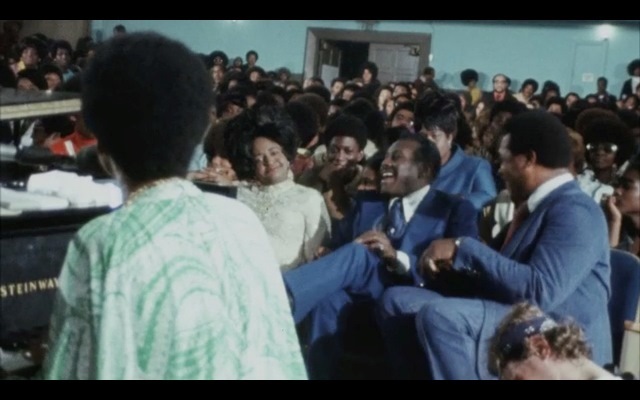 After the Queen of Soul’s 2018 death, her family released the long-mothballed 1972 documentary about recording her bestselling album at a Los Angeles church. Mick Jagger was in Aretha’s church audience. Critics are raving. What’s it all about? 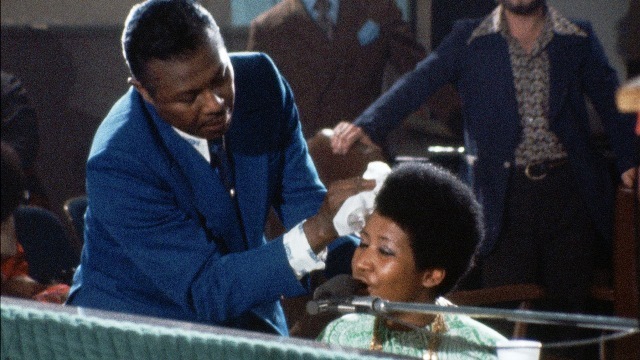 Franklin spent two evenings in January 1972 at New Temple Missionary Baptist Church recording Gospel songs with a choir before a live audience. 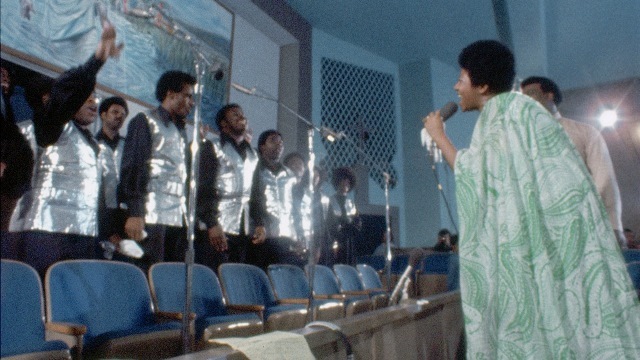 Anchored by the classic hymn, Amazing Grace, the sessions included her covers of Marvin Gaye’s Wholy Holy and of Carole King’s You’ve Got a Friend, comments from her pastor father, and plenty of lively audience reaction. She had returned to her roots, and the result was captivating. 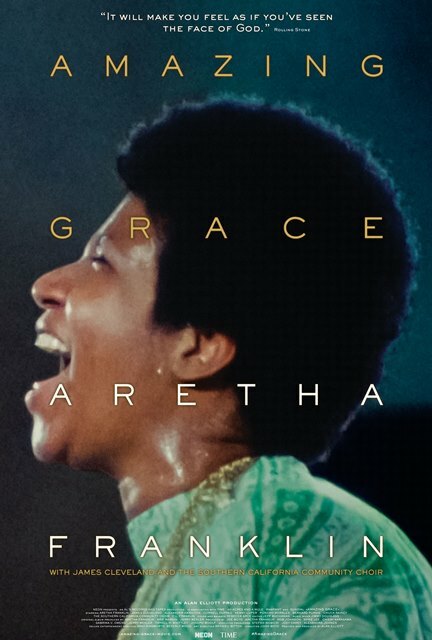 Though legal and technical quagmires kept the Sydney Pollack-directed film in the can for decades, critical acclaim continued for Franklin’s best-selling Amazing Grace audio album. The film shows Jagger mouthing words and moving with the rhythm. “I’m really glad it’s finally coming out to the world,” he remarked of the film’s release. Of course, the hymn Amazing Grace has global popularity. Its special resonance among African-American communities is a fitting tribute to the song’s origins. Penned by John Newton, an eighteenth-century British slave-trader-turned-pastor, it encapsulates his own tumultuous journey from oppression, confusion, and despair to faith. “I once was lost, but now am found,” wrote Newton about finding faith in Jesus after a storm at sea, “was blind, but now I see.” Newton mentored parliamentarian William Wilberforce, who led a grueling 20-year legislative battle that outlawed the slave trade in the British empire. 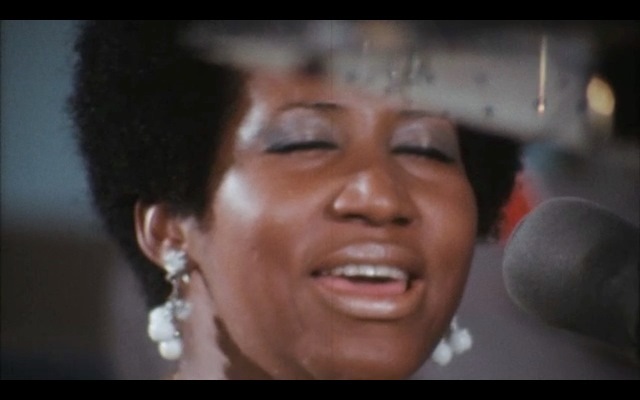 Franklin’s sonorous rendering of Gaye’s Wholy Holy echoes similar timeless themes. The lyrics speak of believing in Jesus; the book he left us; and that believing and following it can help “conquer hate,” “rock the world’s foundation,” and spread love. Yes, by all means, see Amazing Grace. Let Aretha take you to the moon… and beyond. Editors: Note pictures below. For access to these images and more, check here, here, here, and here. Lively crowd at church recording session. Aretha’s father, Rev. C.L. Franklin, wipes his daughter’s brow.